How Far is Legacy Dimora? Legacy Dimora is a residential enterprise by the prominent Legacy Global Projects Pvt. Ltd. that is constructed in Jakkur that is an integral part of the suburbs of Bangalore. 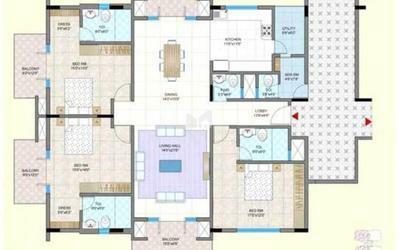 This aesthetically designed project is spread out in 3 blocks all having 3 BHK apartments of a standard size i.e. 2700 sq-ft. 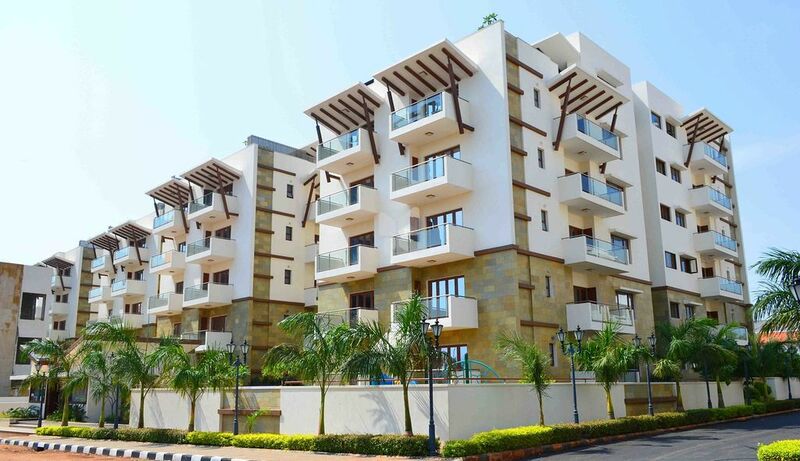 There are 40 units in all and is loaded with a host of world class amenities like a club house with health facilities, gymnasium, swimming pool, multipurpose hall, kids play zone, intercom, tight security armed with fire fighting equipments, power back up, 24 hours water supply, elevators with ample parking space, beautiful landscaped garden and so on. Legacy Dimora is linked to the city well as it is strategically located with close proximity to facilities like educational institutes like Vibgyor High at a distance of 4.4 km and Manipal Institute at 3.4 km are perfect examples. Even hospitals like GKVK and Ashwini hospitals are at 2.8 km and 2.5 km respectively. The closest bank is Indian bank at 2.6 km. There is no dearth of shopping centres and entertainment zone that include fine dining. The closest eatery is Dominos Pizza at 3.5 km. Detailed planning and constructed in the original style of villas, this project spells opulence amidst nature. Paint Textured walls for adding that extra flair. Staircase Granite treads & risers. Elevators 4 elevators – 2 in each block to ensure 24/7 functionality. Covered Car Park At basement level with two electrical points of 5 Amps & 15 Amps for vacuum & battery charging. Restrooms & Bathrooms for staff Provision for drivers, security guards, servants and garden maintenance staff. Flooring Italian marble flooring in the entire apartment with hard wood flooring in Master Bedroom. Main Doors Solid teak frame with teak shutters and architraves of melamine finish. Internal Doors Solid teak frame with veneered flush designer shutters. External Doors French doors for all balconies. Windows High quality polished hard wood for external opening. Aesthetically Designed Washrooms with imported sanitary-ware and fittings. Flooring imported Tiles with anti-skid flooring in the shower area. Glass-enclosed Shower Area so the bathroom stays dry and clean. Vanity Counter Italian marble counter to complete the rich feel to your bathroom. Geysers provided in all the bathrooms. Granite working platform with imported tiling above the counter. Exhaust Fan for improved air circulation. Centralised Gas Connection with additional safety feature of gas detector. Electrical Points Ample points with modular switches. Air Conditioning Provision for Split A/C. TV & Telephone Separate wiring for DTH. Telephone points provided throughout the apartment. Video Door Phone Facility from reception area to the Apartment, allowing you to screen all visitors. CC TV Surveillance: At high security zones. Perimeter Fencing System to keep unwanted visitors away. iButton Door Locking Systems High security locks yet with a 3-mode easy access of numerical keypad, magnetic flash key and conventional key. Utility Room and Clothes Drying Room out of sight separate space for your domestic needs with washing machine and dryer points as well as for storage of provisions allowing for more room in kitchens. Servant's Room With separate washroom.